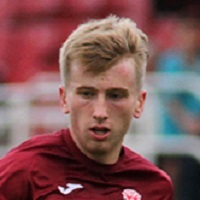 David Hurley, 19, is a second year Arts student and a current player for League of Ireland side Cobh Ramblers. Hurley began playing soccer for Tramore Athletic when he was five years old. He also played for Avondale and then Ringmahon Youth Team before being spotted by Ramblers when he was 16. He was part of the side that finished top of the Southern Division, which Hurley described as the most significant moment in his career so far. However, he revealed his proudest accolade was winning Cobh Ramblers U19 player of the year two years running. He signed his first senior contract in January of this year and has just finished his first full season playing with Cobh’s Seniors. Hurley tasted early success as Cobh reached the EA Sports Cup final against Derry City after beating Dundalk 1-0 in the semi-final. Derry were eventually crowned champions, their eleventh time as winners, after beating Ramblers 3-1. Hurley spoke candidly about the pressure of studying full time, training two to three times a week plus matches while also having a part-time job. “It can get difficult”, he says, “especially around study week and summer exams. I had to go straight from an exam to a game which was stressful”. Despite this, he admitted he wouldn’t change it for the world. Before the league starts up again in January, Hurley is determined to stay on top of his studies and to keep up his fitness by playing GAA for St. Michael’s GAA Club. Hurley is hopeful for the future. He wants to continue playing for Cobh and help get them to the LOI Premier League. “The dream would be to continue playing at a high level.” When asked about playing in England he simply shrugged it off, “The dream would be to someday play for The Republic of Ireland” He also hopes to graduate with a degree in Economics and go on to do a Masters.